tulips will bloom across the Capital Region, and thousands more will bloom in community gardens from coast to coast to coast. tulip was unveiled last spring. More than 200,000 of them filled NCC flower beds across the Capital Region. tulip bulbs are available at participating Home Hardware stores nationwide so that Canadians can enjoy their beauty as part of the Canada 150 celebrations next spring. 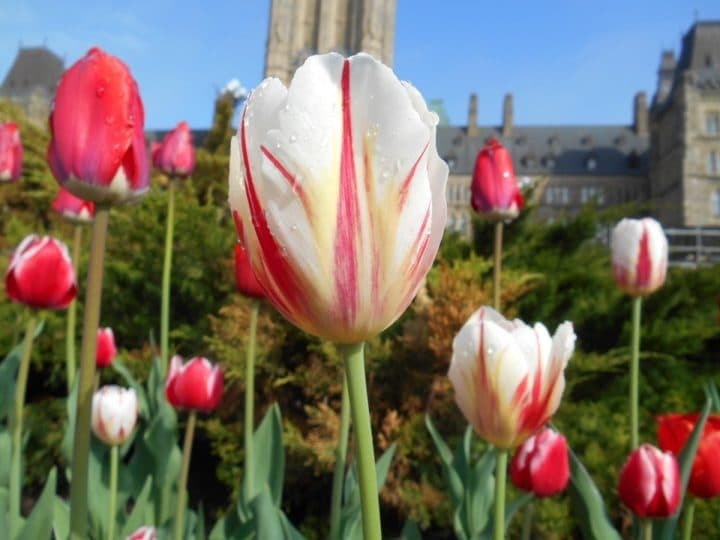 As the official gardener of Canada’s Capital, the NCC is responsible for designing and planting close to one million tulips of 100 varieties, in 100 flower beds, which brighten the region in springtime. The first tulip beds in the Capital were planted in 1945, when the Netherlands sent 100,000 tulip bulbs as a postwar gift of gratitude for the role that Canadian soldiers had played in the liberation of the Netherlands.